Mortons Dairies delighted to provide a Decorated Float for the Wirral Festival of Firsts. The parade that heads through the Wirral Towns of West Kirkby, Hoylake, and Meols aims to raise awareness and funds for a local charity, Claire House Children’s Hospice. 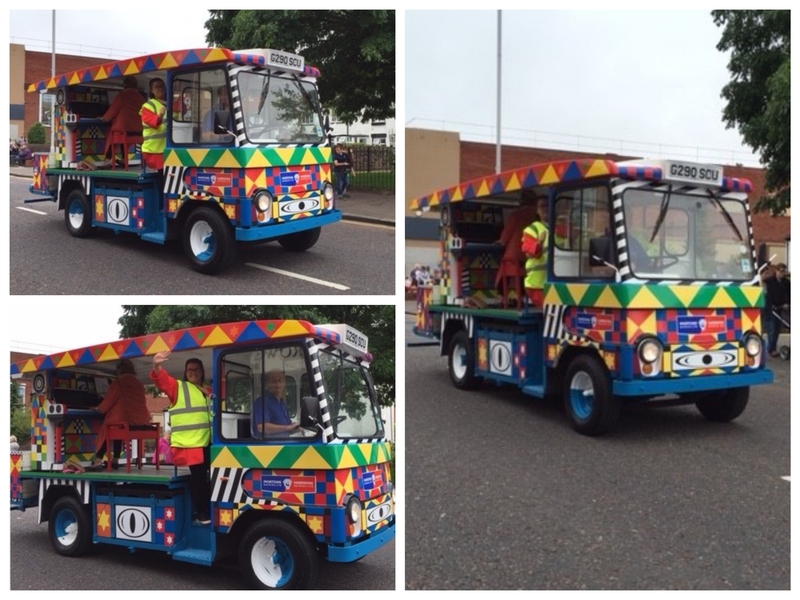 Having been associated with the Festival for numerous years, we were delighted to be approached to transport the 'Razzle, Dazzle Piano' & Artist Barb Singleton through the streets of the parade on Saturday 16th July.